Where did you get this idea that your yoga practice has to be fun? True. Why should yoga practice be fun? Sharath says we should enjoy our practice, but it does not mean the practice is a "fun" thing. And it is not "fun" thing. It is hard work. 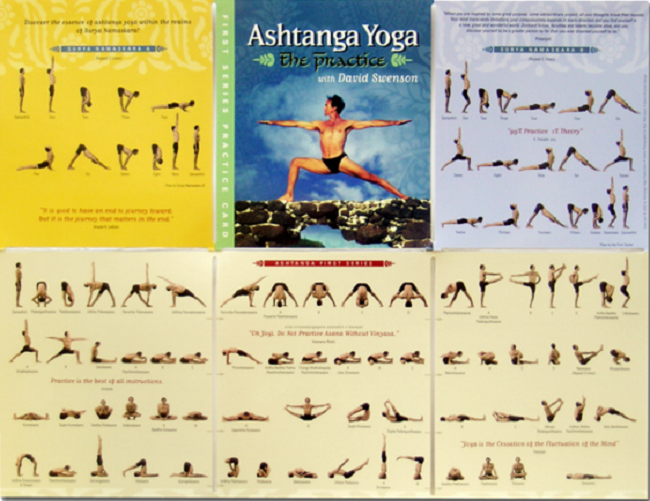 In Toronto Body Mind blog a yoga teacher Shareen describes the ashtanga practice in details. She said - Ashtanga yoga is certainly not something you choose to do if you are merely looking for entertainment, or for a social activity, or even for “Madonna arms”. "Fun" is not what comes to mind when you mention Ashtanga yoga. Anyone who’s done this practice knows that heart starts pumping after completing just the sun salutations at the beginning of the practice and that itself is quite challenging. And anyone who’s ever gone all the way through the standing and sitting sequence up to navasana, half primary, or attempted the complete full primary series understands what effort and strength are all about. What’s the main message yoga studios want to give to the people about yoga practice? Well, that should be the main reason why ashtanga yoga is not so popular in yoga studios. I always try to remind myself that ashtanga practice is not about how hard I work, but how effortlessly I work. It’s not about big movement, but about subtleties and the saving of energy. Ashtanga yoga teachers do not have a great sense of humor. In the best ashtanga class you hear only counting of breaths and occasionally inhale and exhale and that's it. There is no "Connecting energy to the earth" or "Let the light fill your head". No such things in the ashtanga class. Anyway, regardless of everything, today I did my practice according to my schedule. I woke up at 6 AM, had a coffee. I turned on the Max's lead primary class and I started the practice around 7 AM. Very fast 5A and 3 B sun salutations, all standing and sitting postures up to navasana, performed all vynasas. I finished the practice with longer than usual closing sequence. I want to do back bending with 5 bridges (urdhva danurassana). Tomorrow is next practice. 99% Practice, 1% Theory.